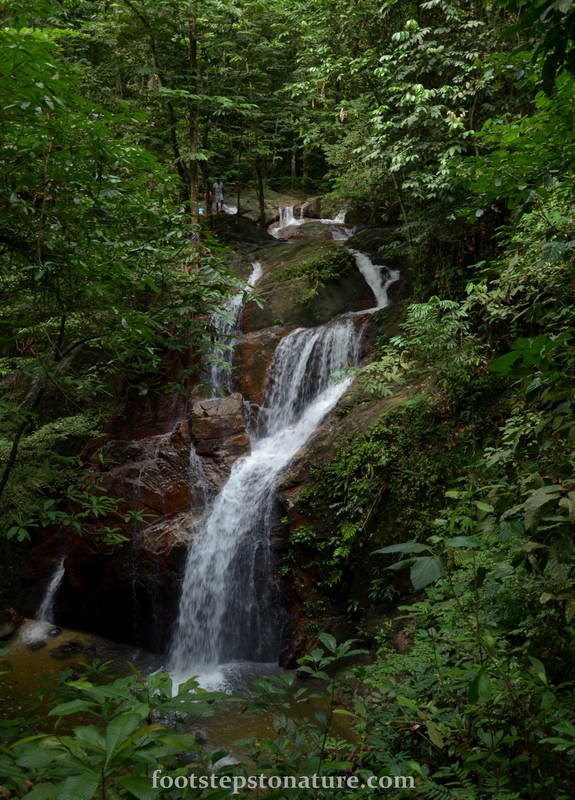 The Sungai Pisang (Pisang River) waterfall is an approximately 20 meter triplet vertical fall along Sungai Pisang which is the greater part of Sungai Gombak near the Karak Highway. 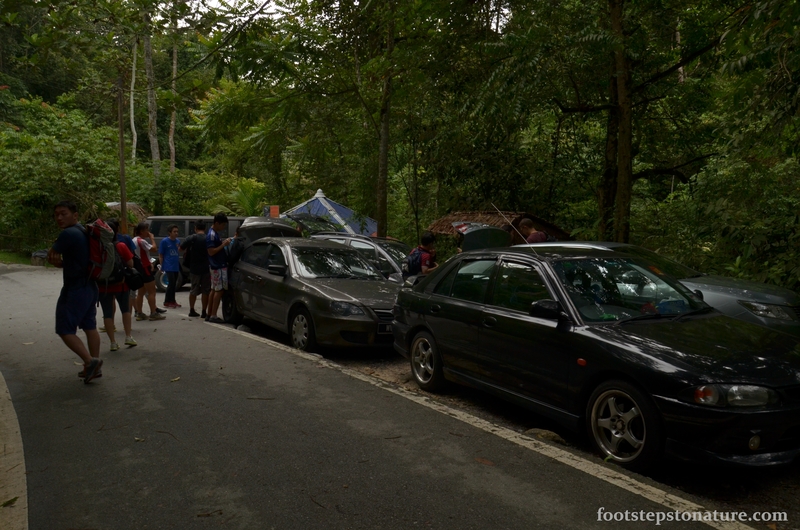 The entrance point to this hike typically begins at the Recreational Centre off Jalan Gombak after the Jabatan Kemajuan Orang Asli (JAKOA) museum. 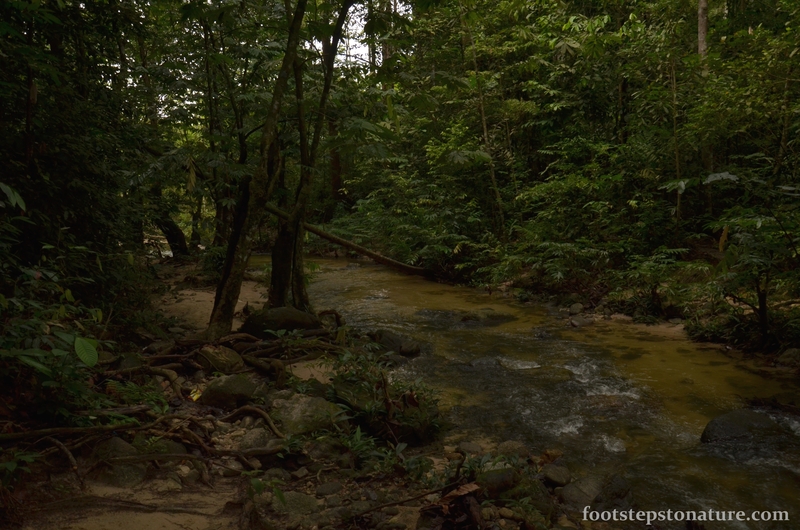 I’ve been to 3 or 4 waterfalls in Malaysia, how could I have overlooked Sg Pisang? Shame on me because this is a beautiful waterfall, moreover, it’s only about half an hour drive from the city centre. What do you get when there is a beautiful sight which does not require you to go out of your way to see it? That’s right, you get crowds of people. Don’t get me wrong, having few crowds of people around is perfectly fine, but when there’re too many around it feels like a jungle party and you’d lose that ‘Zen’ feel. We reached at 8am sharp and were the only cars there at that point in time. I understood that parking costs RM2 beforehand so I imagined that there’d be proper parking lots for visitors, but reality was quick to set in and I found myself parking at the side of the road. To get to the start of the trail, walk towards and beyond the barricade, the trek would begin with a slope heading down on the left-hand side. 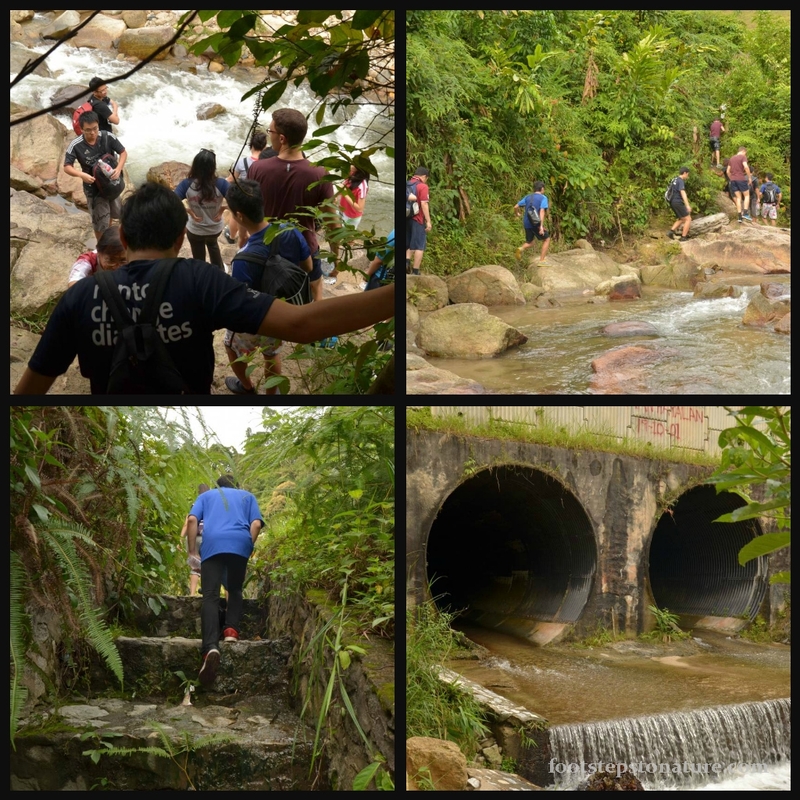 Top left: The path leads you further up the stream; Top right: Follow the rocks upstream and there’d be a path on the left; Bottom left: Walk up the steps and turn right to follow the wall back towards the stream; Bottom right: When you’ve reached this tunnel, you’re on the right track! 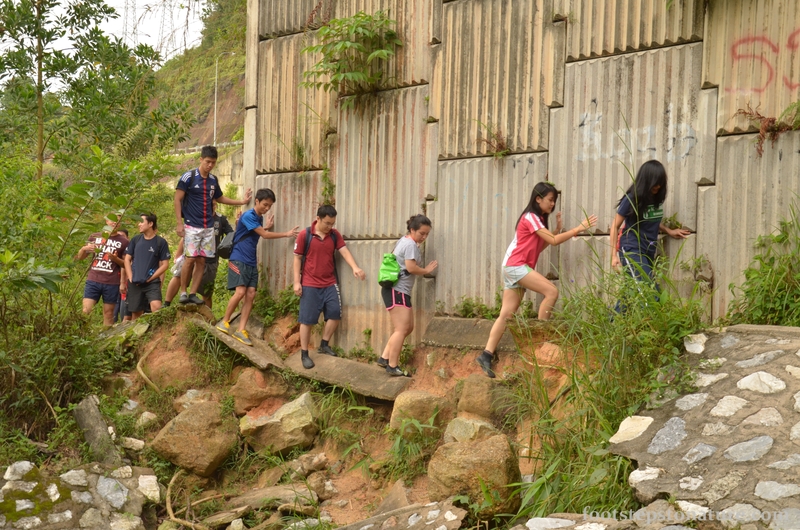 Take precaution as you walk along the ledge! This tunnel is like a portal to another world. 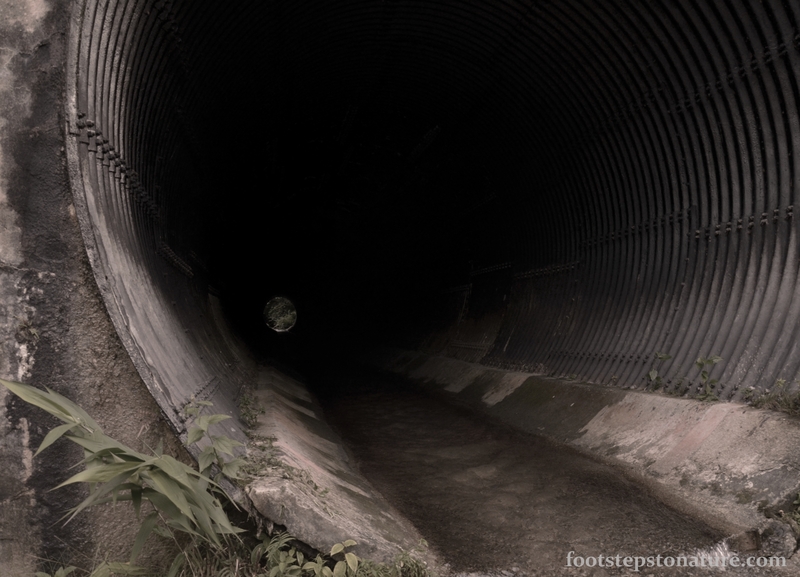 Before entering, everything felt so concrete; walking through the tunnel, away from sunlight and into darkness, I got a chilly feeling as whispers from the stream echoed all around. Good thing there’s always light at the end of the tunnel. It’s a totally different setting right after the tunnel, sound from cars on the highway fade and the sound of nature comes alive. 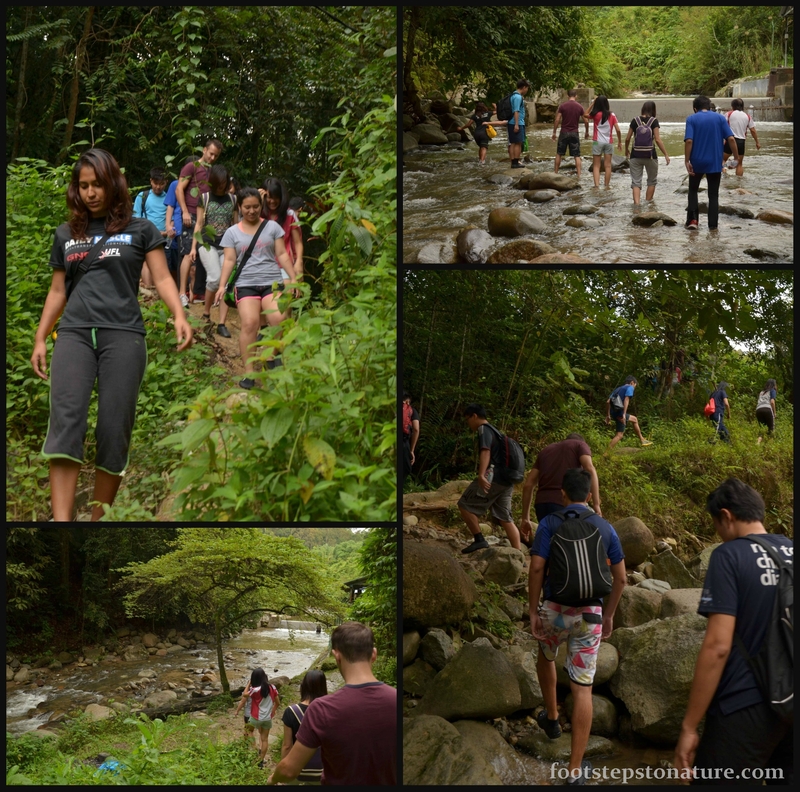 After the tunnel, follow the stream for another 30 minutes and you should just about arrive at the falls of Sg Pisang. 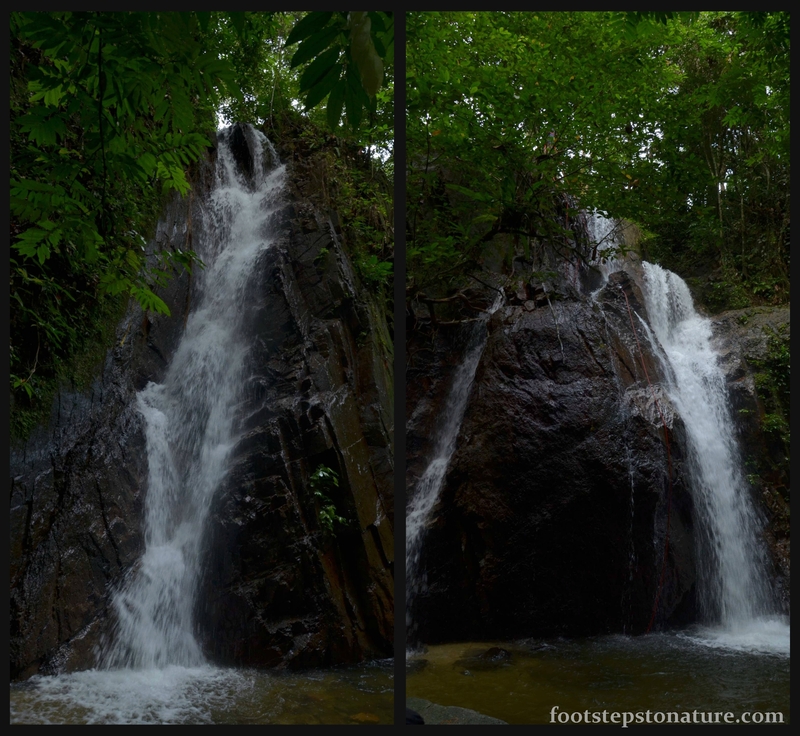 Higher view of Sg Pisang waterfall. Can you spot a person wearing white shirt? It was 9pm when we reached the peak of the falls. Shortly after, we were divided into groups where we had our safety briefing and off we went! Harness… checked, safety clip… attached, courage… found it! As I leaned over the edge in preparation to abseil, it was quite difficult at first to break the mental barrier in placing my life in between my groin area in the form of a harness and a rope. But as you’re able to sit comfortably in mid-air it feels as if it was like sitting on a hammock and that also means you’re all set to go. Looking at the pool 20 meters down, it’s not very high up, but the challenge comes with cold water gushing down and slapping your face constantly. Imagine the weight of the water dragging you down whilst you steady yourself, anchoring both feet 90 degrees to the wall and steadily abseil, because one mistake, one slip and you’ll find yourself crashing against the rocks with no mercy from the chilly waters. I’ve abseiled from a height of about 30 meters previously but this is more happening for sure! The best part of this was plunging into icy cold waters as you make your last jump to touchdown. 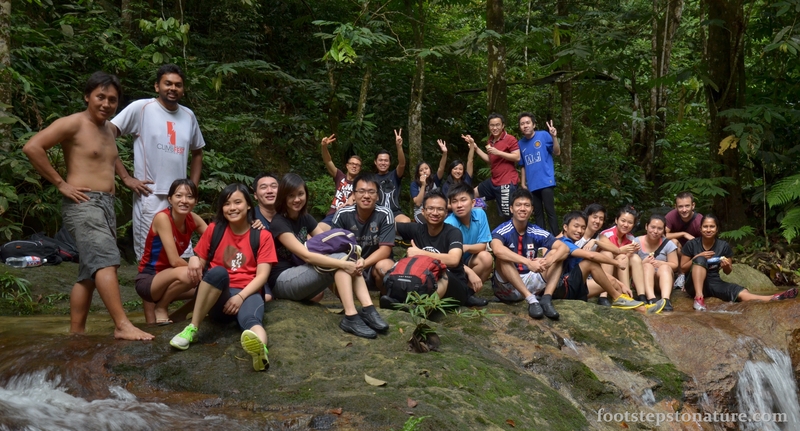 All in all Sg Pisang is a great place to visit even if it’s just for relaxation purposes. There were many groups of people chilling by the waterfall site having a great time and some also did a barbeque, got to try that some day! 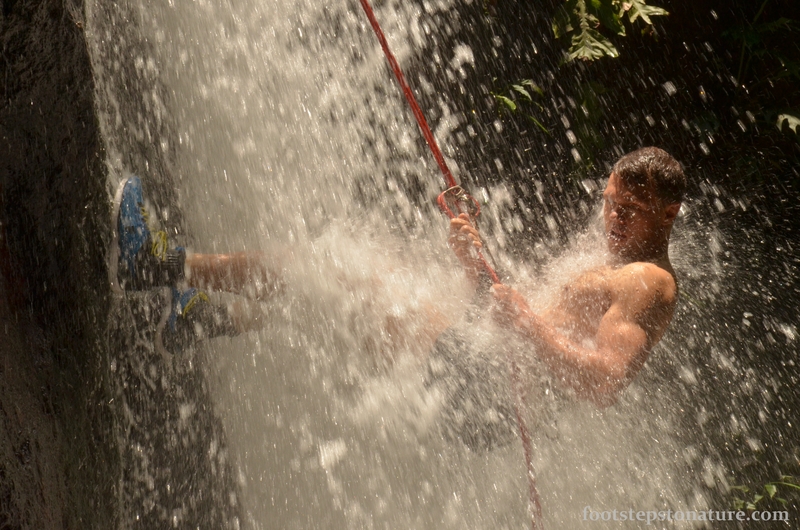 As for my first time abseiling down a waterfall, it was a terrific experience and one of the most memorable moments was seeing mini rainbows as light refracted off the water while I was roping myself down. A taller waterfall next time? 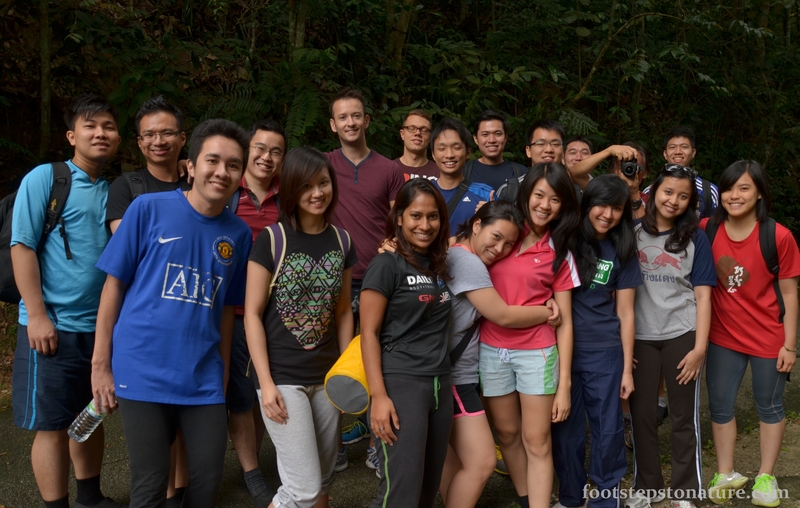 Since we had a guide/instructor, all our equipments were provided for. Hi I would like to know about the instructor and the payment for this abseiling at Sg Pisang. Please reply to my email. Thanx! Would love to try this out. Can you please email me how to contact the guide? How much is the fee? Would love to try this out. Can you please email me how to contact the guide? And how much is the fee? Hi Ena, unfortunately the instructor does not arrange for this anymore. Apologies!